However, if you are not the type who would wait until this utopian point of time aligns with reality, but would rather make it happen, you are probably aware that a hotel’s best chances, if not only, for direct bookings lie in a fine online marketing strategy and getting to the top of search engine rankings. A secret recipe for being on the first page is still not available and that’s because the factors that make or break the hotel’s spot among the most wanted are somewhat in the twilight zone. Earlier this year, though, Google made a discrete announcement, confirming that the count of Google reviews factors into local search rankings, in other words the more the reviews in Google, the higher the ranking! A wise man once said a bird in the hand is worth two in the bush so hotels are best off focusing on generating a higher number of reviews. In short, hotels can’t rely only on several super positive reviews any more. The battle plan is probably already taking an actual form in your head. If not, let us give you some top-notch hotel online marketing ideas, a.k.a. 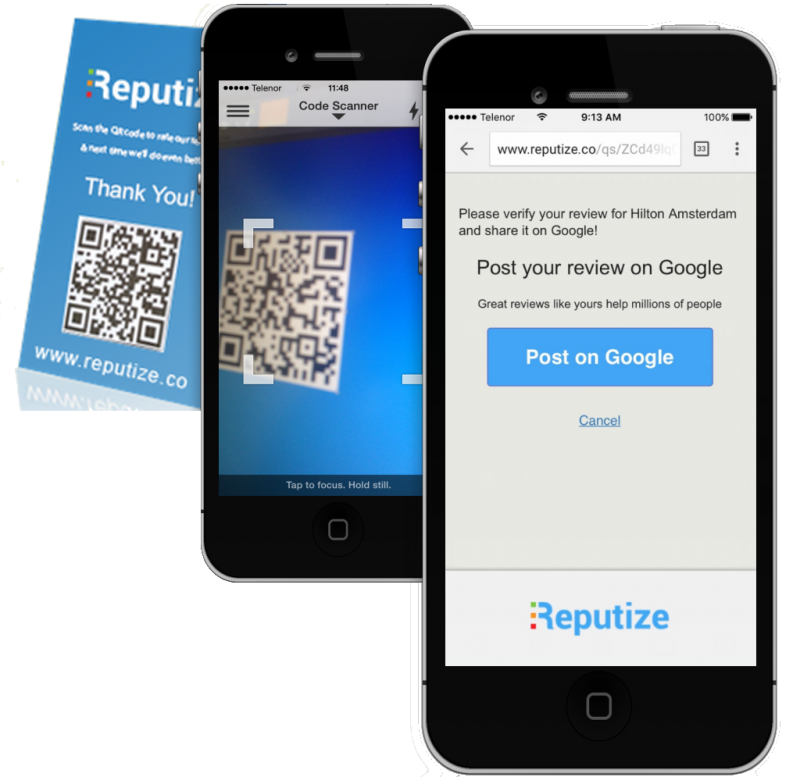 ways to generate exponentially more reviews. First of all, you still have the good old guest follow-up emails with review request that is widely overused and in most cases ends up in the trash (response rate is 8-12%). But when you combine that with on-site feedback is when magic happens. Welcome to the new age of “in-stay review world” of touch-screens, Wi-Fi and QR-codes. Collecting guest reviews while they are still at the property is the new major trend. We watch customers increase their review count 10 to 15 times when they start using all these channels. Bottom line – the Panacea for direct bookings is called REVIEWS and the secret key to it is in-stay review generation. Let us help you get more of those.